Coming to a curb near you. Photo via Facebook. Contrary to what we’ve come to expect, Seattle’s newest food truck isn’t brought to you by some fledgling chef with ambitions of one day opening her own eatery. 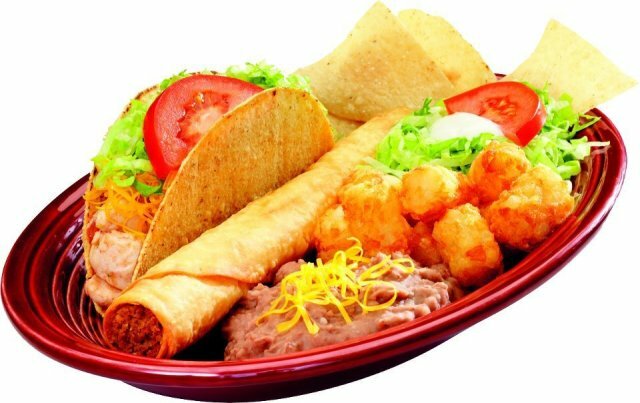 Taco Time, the Northwest chain with more than 70 locations, will roll out a four-wheeler in mid-June, says a rep for the company. The truck will hit 50 events—neighborhood block parties, Mariners games—throughout Washington State until Labor Day, with other cameos planned throughout the year. Locations won’t be preannounced but made known via Twitter, presumably in an attempt to generate traction. Taco Time Traveler is being launched in conjunction with the company’s golden anniversary. The crew, 30 employees plucked from various local Taco Times, will shill free grub: tacos (hard and soft), burritos, Mexi-fries, salads, etc. It’s the same stuff you’d find at the restaurant, with a seasonal focus, noted the rep. Sigh. One can’t help but think this (literal) marketing vehicle portends a turning point in mobile dining—a concept celebrated for its novelty. Then again, curbside corporatization isn’t exactly new. Last summer, and the summer before that, Seattle eagerly ate up the taco truck Qdoba launched. Nor is it surprising. Street food is the purview of whiz-bang chefs turning out invigorating and admirable fare—which explains why it’s so popular, and why brands looking to up awareness want in on the buzz. Awhile back Kurt Dammeier, owner of Maximus Minimus, shed some insight on the truck-as-promotion racket. Do read on.